☆ Don't be robbed of a good night's sleep! Blue light from your smartphone or tablet causes strain on your eyes and prevents you from falling asleep easily at night. 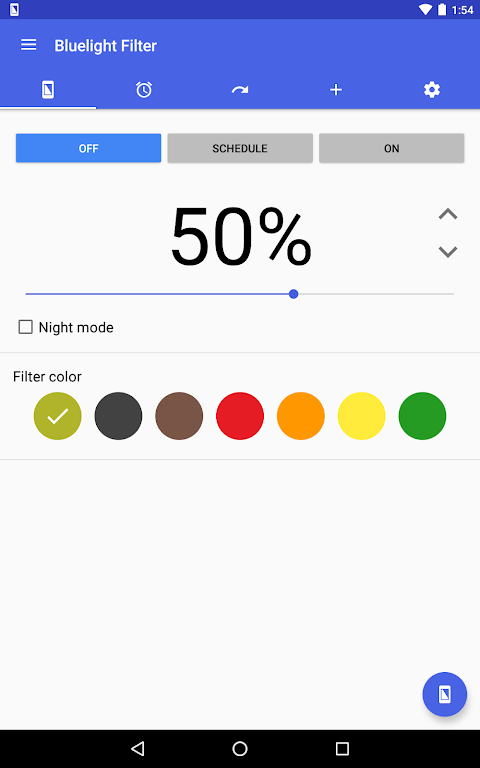 This app adjusts your screen color to reduce the blue light and helps your eyes to relax, making it easier for you to fall asleep. ☆ Features ▽ Free Screen Filter App to Protect Your Eyes You can reduce the strain on your eyes easily. It is simple but effective! All you have to do is launch this app. ▽ Screen Filter with Natural Color This app's filter has a natural color so you can read news, emails and websites clearly. 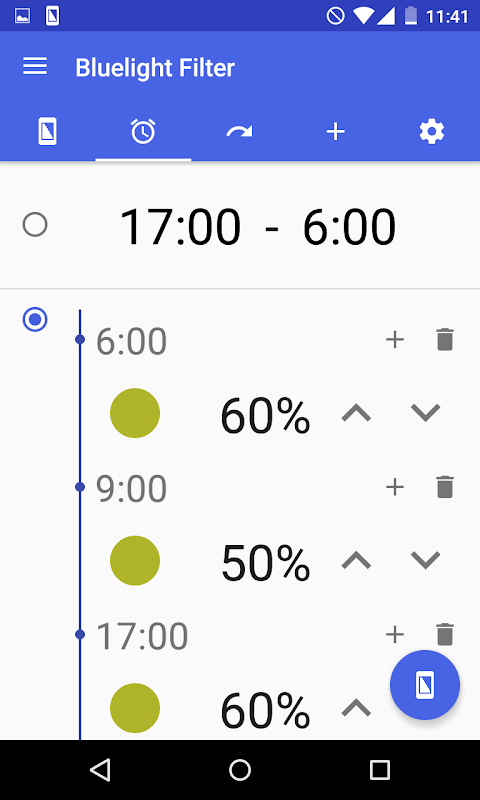 This app doesn't dim the screen but adjusts the screen color to reduce blue light which causes strain on your eyes. 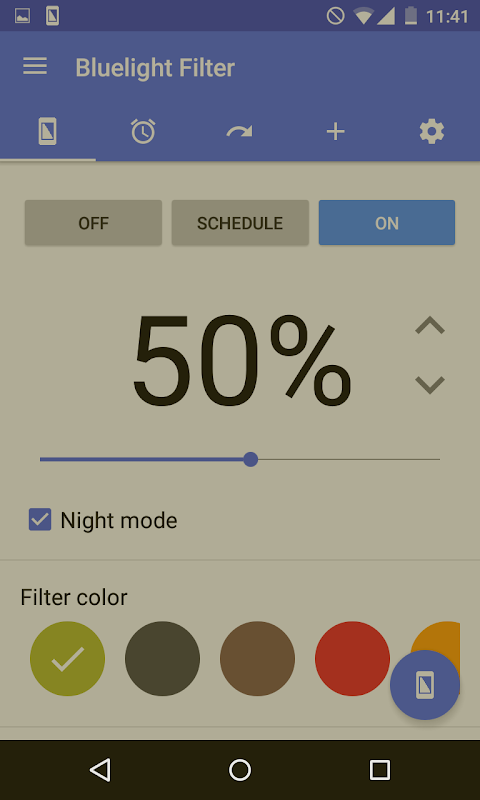 This natural color filter makes your smartphone screen shift to the screen for night. ▽ Easy Operation It is easy to turn on or off with just one tap. You can adjust the opacity of the filter. You can choose from 7 different filter colors. 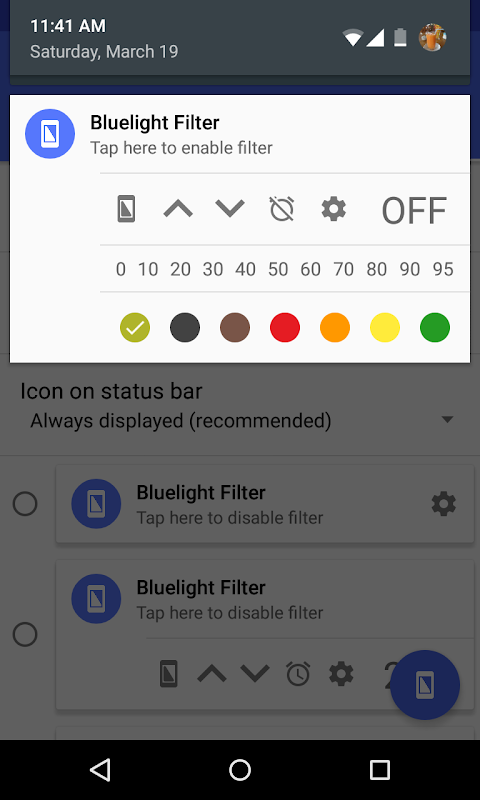 ▽ Turn On or Off Quickly and Easily You can choose to show or hide a filter icon in the status bar, making it easy to adjust the settings any time ▽ Startup Automatically You can choose to launch this filter on startup. 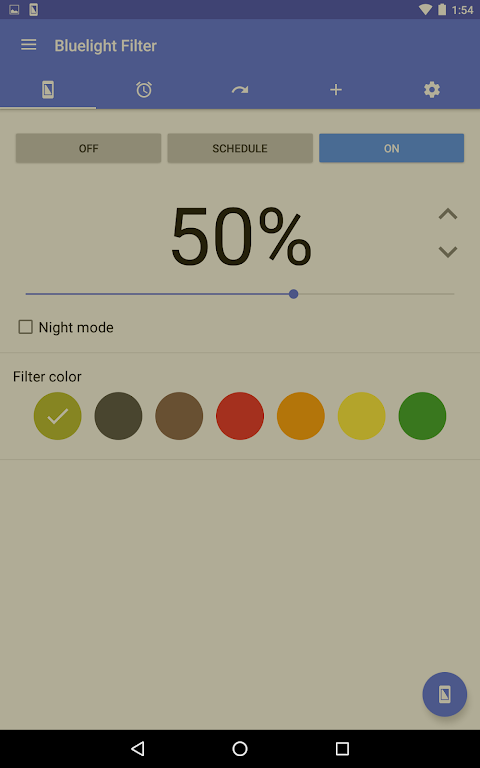 ▽ Simple App This app doesn`t drain your battery except when setting up the filter, since it only adjusts the color temperature. Moreover, memory usage is also low. ▽ Reliable App This app's developer has been registered as an official developer by an independent organization in Japan. http://goo.gl/C4qIk (Japanese website) ▽ Remove ads Please purchase the full version to remove ads. http://goo.gl/ozbIaC * If you want to install an app from a third party store. 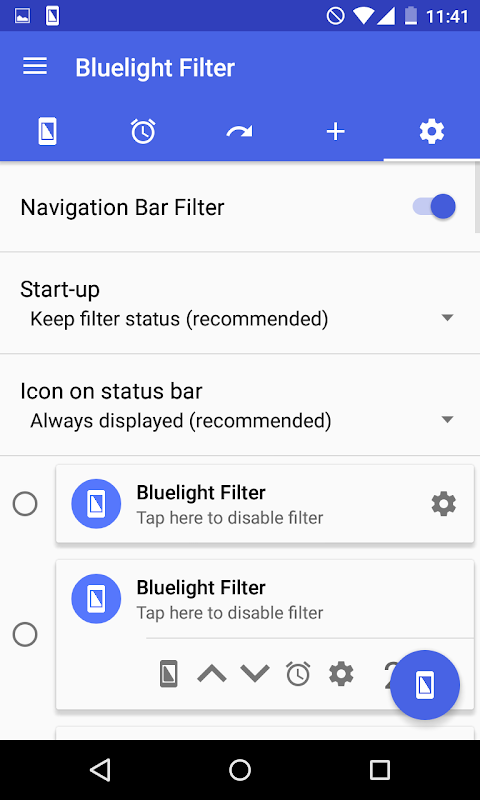 Please turn off the filter first to enable installation. * When capturing a screen (screenshot) turn off the filter first, otherwise it will apply to the captured screen as well. * If other screen adjustment apps are already running on your smartphone or tablet, it may affect the screen color making it too dark for your eyes.  Is Bluelight Filter for Eye Care yours? Claim it!